Mixed-use real estate lives in a financing netherworld, somewhere between residential and commercial properties. This existence generates confusion among buyers, owners and the lending community. As a response to this ambiguity, some lenders have designed mortgage products specifically for mixed-use properties. 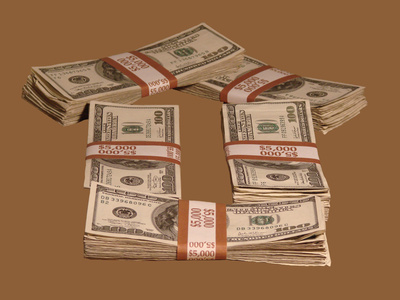 However, the resulting financing tends to excite neither borrower nor lender. Comparing pure commercial versus residential loans displays the difference in terms that may make a "hybrid" loan the best answer. Prior to the early 1970s, before the formal Secondary Market existed, mixed-use properties were typically financed with loans that were similar to residential mortgages, but carried somewhat higher interest rates to compensate for the commercial risk involved. The Secondary Market (FNMA and FHLMC) changed the landscape, as they only bought one to four family residential properties. They allowed no commercial units. Commercial loans also were a bad "fit," as most prohibited any residential units. Residential loans, with better terms than most commercial loans, would be the best option for most borrowers for mixed-use properties. Unfortunately, this choice is usually unavailable. Types of mixed-use financing include loans for smaller properties, usually $150,000 to $500,000, and for larger projects, popular in larger cities. Larger project loans involve millions of dollars in financing. Borrowers can find hybrid loans that combine elements of residential and commercial financing, with reasonable terms and repayment periods (up to 20 years). Even the FHA (Federal Housing Administration) and VA (Veterans' Administration) offer loans within conservative parameters. Two primary considerations affect the loans available. First, the percentage of commercial use compared to the overall size of the structure is critical. In most cases, the commercial "influence" must be less than 50 percent of the entire building. For example, a four-unit property consisting of one retail or commercial unit and three residential apartments might qualify for FHA/VA loans (excellent terms) or hybrid financing (better terms than commercial, but less advantageous than residential loans). However, a similar property with three commercial units and one residential apartment will typically qualify only for pure commercial loans. Larger properties with more units usually necessitate commercial financing, depending on the percentage of business versus residential units. Properties with a maximum of four units, those with up to eight units and those with more than eight qualify for loans designed for their size and value. Smaller mixed-use properties sometimes qualify for residential-like fixed rate financing, unlike pure commercial loans, which are typically variable-rate products. One- to four-unit and five- to eight-unit properties may receive longer repayment terms, permitting borrowers to receive "fully amortizing" loans (at the end of the term, the loan balance will be $0). Many commercial loans are written with longer amortization periods but have a "balloon" feature, requiring a lump sum payoff in 5 or 10 years. Since mixed-use properties cannot normally be sold into the Secondary Market, residential financing is usually unavailable. Borrowers may still find mixed-use loans that have fixed rate or ARMs (adjustable rate mortgages) that only re-price (adjust) after 3 to 5 years, particularly for smaller (two to eight units) properties. Larger properties, with a small percentage of business locations as compared to the residential units, may generate better commercial loan terms than those with 50 percent or more nonresidence addresses.